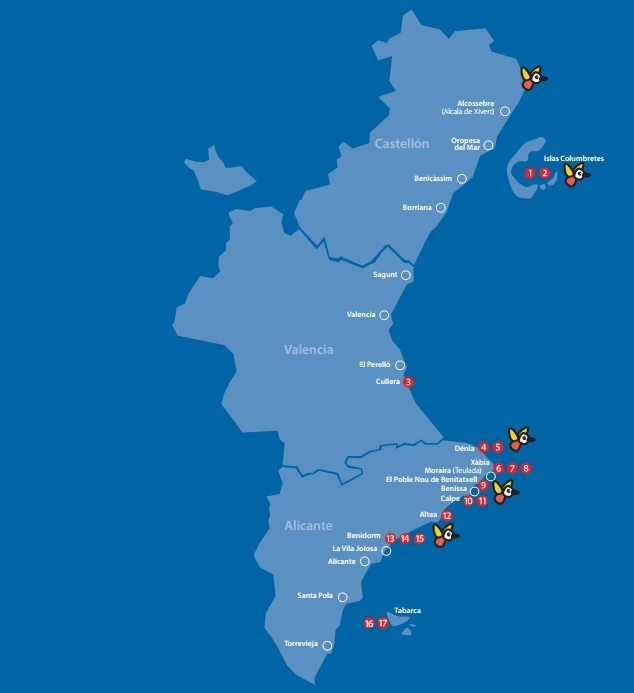 reasons to pass the gates of blue Mediterranean sea that welcomes the coast of Valencia. Poble Nou de Benitatxell, a large cave for experienced tech divers. Altea, at the foot of Serra Gelada. Scuba diving without proper authorization. Recreational fishing in all its forms: shore, boats and diving. The collection of marine organisms, flora and fauna without proper authorization. Water sports involving the use of motorboats. The underwater recreational activities involving motor without using the corresponding authorization. · Snorkeling therefore does not require any application.